Little longitudinal research has examined parental well-being in those with a child with specific genetic developmental disorder although the associated severe neurological impairments and multiple physical comorbidities likely place substantial burden of caregiving on the parent. We aimed to examine longitudinally the well-being of parents of individuals included in the Australian Rett Syndrome Database over the period from 2002 to 2011 using the Short Form 12 Health Survey. Residential remoteness, the child being a teenager at baseline, having frequent sleep disturbances or behavioural problems, and the type of MECP2 gene mutation were each associated with later poorer parental physical well-being scores. 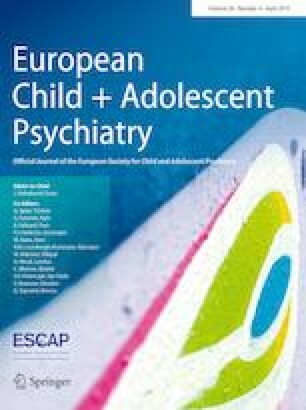 Being a single parent or on a low income was also associated with later poorer physical well-being, while the child having enteral feeding was associated with later poorer emotional well-being. Both the physical and emotional well-being of the parent improved if the child was living in out-of-home care. Our findings suggest that some opportunities do exist for clinicians to help optimise parental well-being. Being alert to the possibility and need for management of a child’s sleep or emotional disturbance is important as is awareness of the additional likely parental burden as the child moves through adolescence into early adulthood and their need for additional support at that time. However, the findings also highlight the complex nature of parental well-being over time in parents of children with a severe neurological disorder and how they may be affected by a range of inter-related family and child factors. The online version of this article ( https://doi.org/10.1007/s00787-018-1214-0) contains supplementary material, which is available to authorized users. The research projects of the Australian Rett Syndrome Database (ARSD) have previously been funded by the National Institutes of Health (5R01HD043100-05) and the National Health and Medical Research Council project Grants (#303189 and #1004384) and programme Grant (#572742).